The 11th season of Indian Premier League commenced with a nail-biting match between Mumbai Indians and Chennai Super Kings at the Wankhede stadium. Chennai Super Kings returned in style and defeated the defending champions by 1 wicket. Chasing 166, at one stage Chennai Super Kings were 106/7 in the 16th over but Dwayne Bravo's 68 runs off 30 balls helped them to pull off the match, debutant Mayank Markande took 3 wickets for Mumbai Indians. 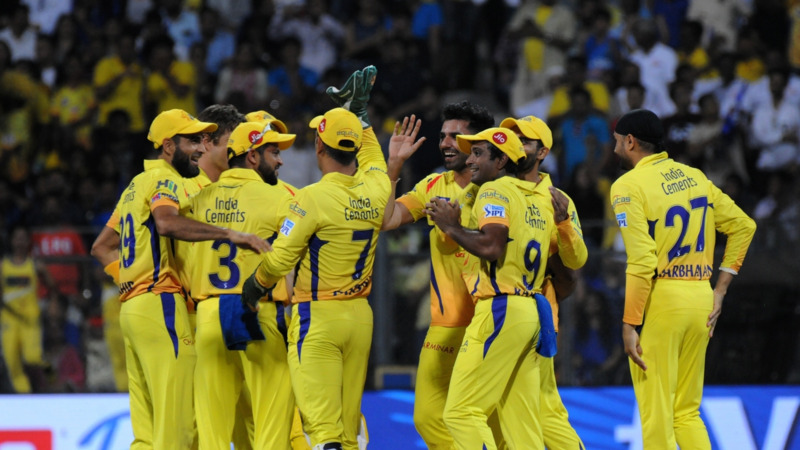 1 - This was Chennai Super Kings' first win by 1 wicket and also the smallest victory (by wickets) in the Indian Premier League , the previous smallest victory in terms of wickets was by 3 wickets against Royal Challengers Bangalore in Ranchi in 2015 season. 3/24 - Best bowling figures for Hardik Pandya in the IPL, the previous best was 2/22 against Kolkata Knight Riders at Kolkata in the 2017. 50 - Jasprit Bumrah completed 50 T20 wickets for Mumbai Indians and he is the fifth bowler to take 50 or more wickets for Mumbai Indians. 500 - Evin Lewis became the 500th player to feature in the Indian Premier League. 1050 - Runs scored by Dwayne Bravo for Chennai Super Kings in T20 cricket, he became the 9th player to score 1000 or more runs for Chennai Super Kings in this format. 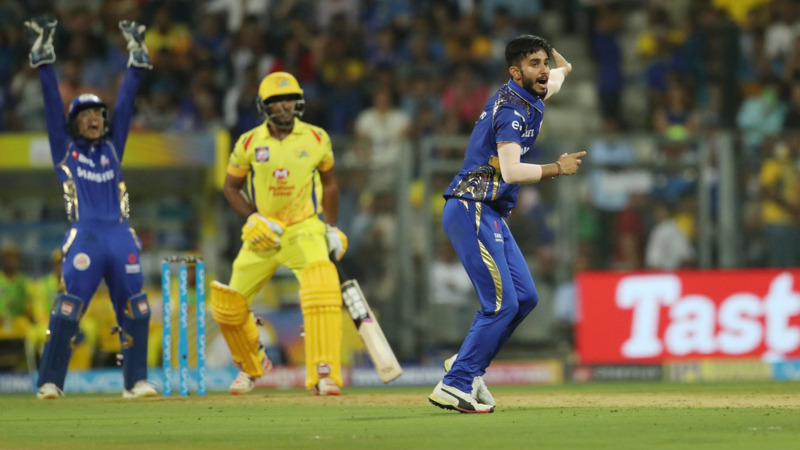 3/23 - Mayank Markande's bowling figures of 3/23 are the second best bowling figures for Mumbai Indians on debut in the Indian Premier League. 68 - Dwayne Bravo's highest individual score for Chennai Super Kings, the previous highest was 62* against Rajasthan Royals in Ahmedabad in 2015.